Look up in the sky! It’s a bird! It’s a plane! Nope, it’s the Philips OneBlade Pro QP650 Hybrid Trimmer and Shaver – a grooming tool so unique, it’s sure to capture your attention – but is the OneBlade Pro all good looks and no substance, or does it live up to its remarkable appearance? The answer… awaits. Unique design allows OneBlade to edge up, trim down, or remove hair of any length. Fast-charging lithium ion battery runs for ninety minutes. Digital display indicates battery status. Economical – OneBlade lasts up to four months. Wet or dry operation – use in the shower, with or without shaving foam. 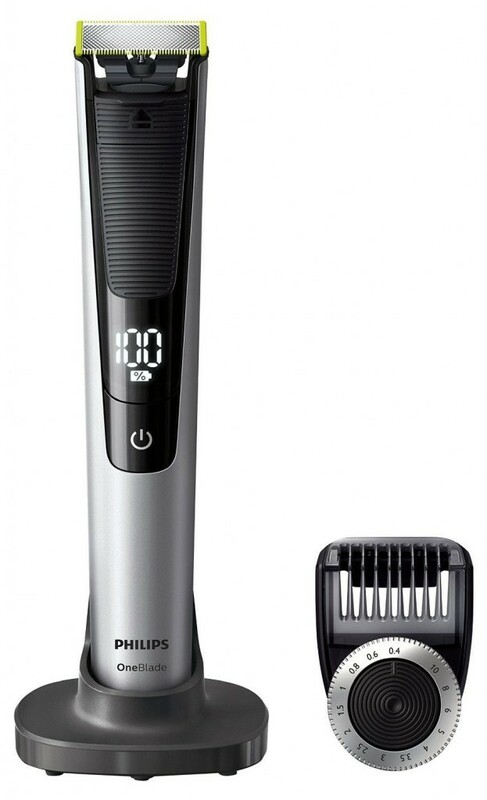 The Philips OneBlade Pro isn’t an electric shaver. Nor is it a trimmer, or a detailing tool. It’s all three! Designed to shave, trim and edge facial hair, the OneBlade Pro is perfect for men who alternate between bearded and clean-shaven. A short beard looks best with well-defined edges. There’s no need to break out a separate razor – simply shave in either direction with the OneBlade Pro. 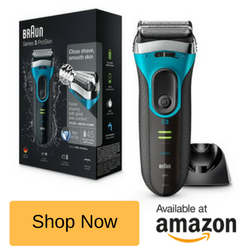 It sounds so simple, and in operation, it is, but I found the ability to shave both up and down quite a revelation – regular razors only shave with downward strokes, making it easy to miss hairs or mess up what could have been a perfect edge. If you’ve let your beard grow out, it’s probably a bit on the unruly side. Tame those wild facial hairs with the OneBlade Pro – it includes a highly adjustable precision comb. Though the length settings are “locked in”, I found the fourteen lengths – from 0.4 to 10 mm – more than sufficient. In real-world terms, that’s short enough for less than a day’s worth of stubble, to a neat beard of short to moderate length. Rather than cutting as closely as possible, the OneBlade Pro QP6520 was designed around comfort. 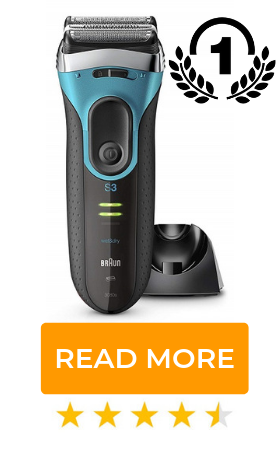 Don’t misunderstand me – the results are perfectly sufficient – and the unique blade design allows me to shave against the grain, something I normally avoid for fear of skin irritation. 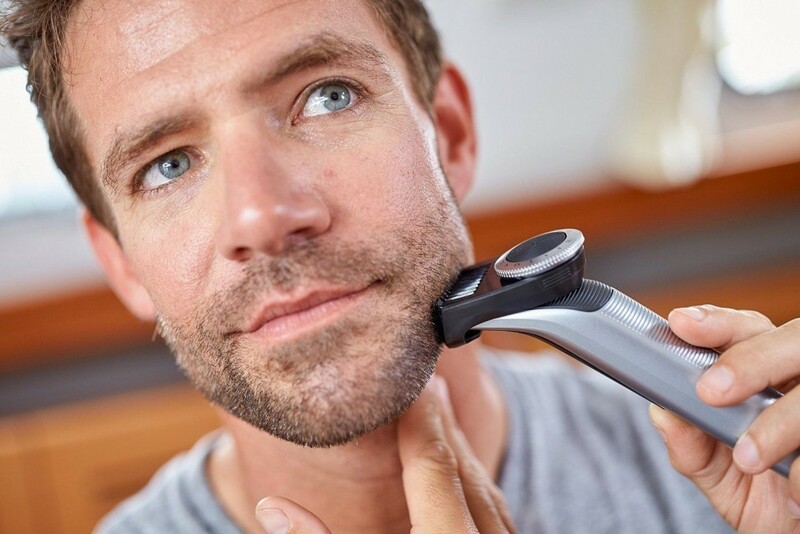 In fact, the inherently gentle shaving action removed facial hair no matter in what direction I moved the shaver – across, against or with the grain, without tugging or redness. 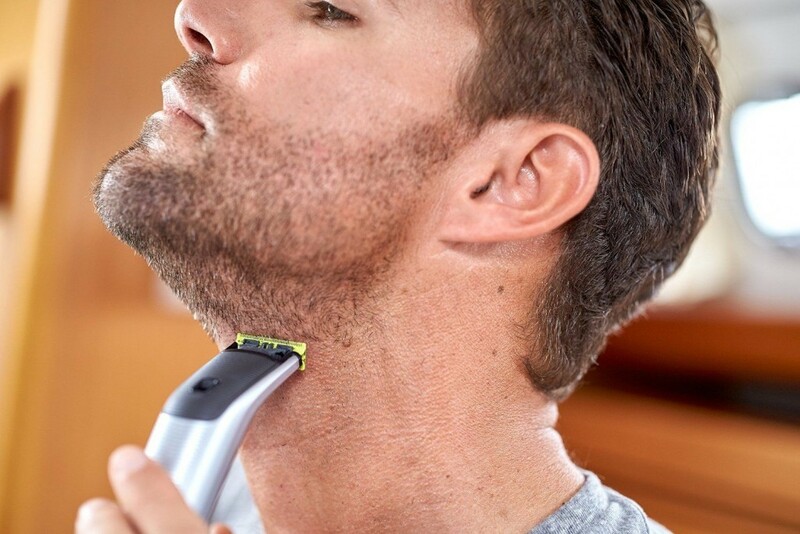 The OneBlade Pro’s dual-directional blade swivels, allowing it to follow the unique contours of your face and neck. 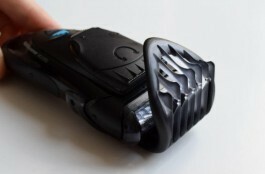 Compared to a fixed-head razor, a swivelling head decreases drag and the number of required strokes, resulting in significantly improved comfort. The built-in, rechargeable lithium ion battery has one of the best runtimes I’ve ever seen in an electric grooming tool – ninety minutes, after a mere one hour of charging. That’s highly impressive! I appreciate the included charging stand, too – every time I finish using the OneBlade, I set it in the stand, knowing it will keep the battery at peak capacity. Because the OneBlade Pro is water resistant, it can be used in the shower, even with foam (my preference on days which allow me the time for that extra bit of luxury), and easily rinsed off under the tap. Of course, there’s nothing stopping you from using the OneBlade dry – in either case, it performs well! 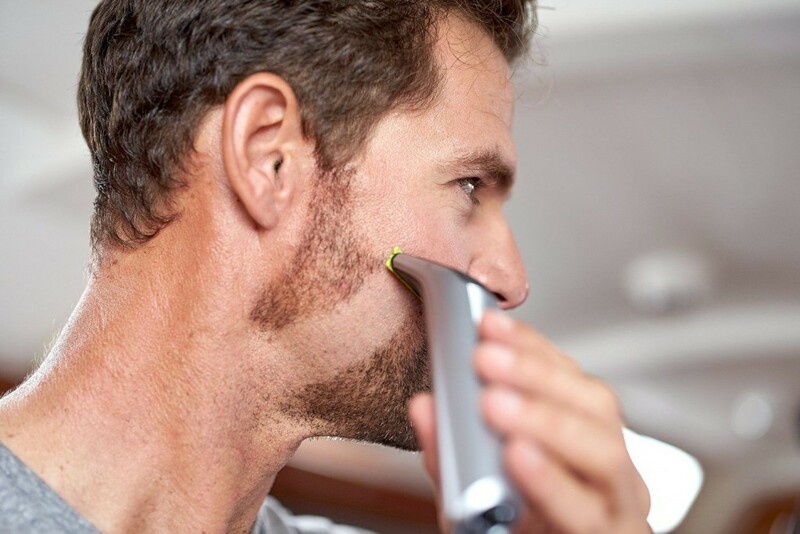 At the core of the OneBlade Pro’s multi-functional capabilities is the unique blade – it lets you to shave in any direction, and sits flat against the skin, allowing the shaver’s high-speed oscillations to slice through facial hair. I’ll be the first to admit that the cost of a replacement blade – £11.99 – isn’t exactly low. But hang on – one such blade, if used twice weekly (quite a realistic frequency to maintain a short beard) lasts up to four months. That works out to just a hair (pun intended) under £3.00 per month. Far cheaper than a four-pack of disposable multi-bladed cartridges! Versatility is good in my books, and as such, the Philips OneBlade Pro QP6520 gets an enthusiastic recommendation. 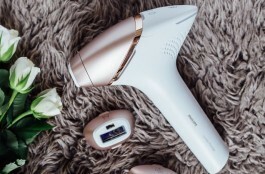 Though it may not be a perfect replacement for certain highly-specialized grooming tools, it does what it’s intended to very well, and as with other Philips personal care products, is thoughtfully designed and built to last. For the sometimes-bearded man, the QP6520 is a solid investment. The best online price and availability is on Amazon. There are currently four models of the Philips OneBlade, offering slight feature differences – from the basic Oneblade QP2520/30 to the top of the line Oneblade pro. 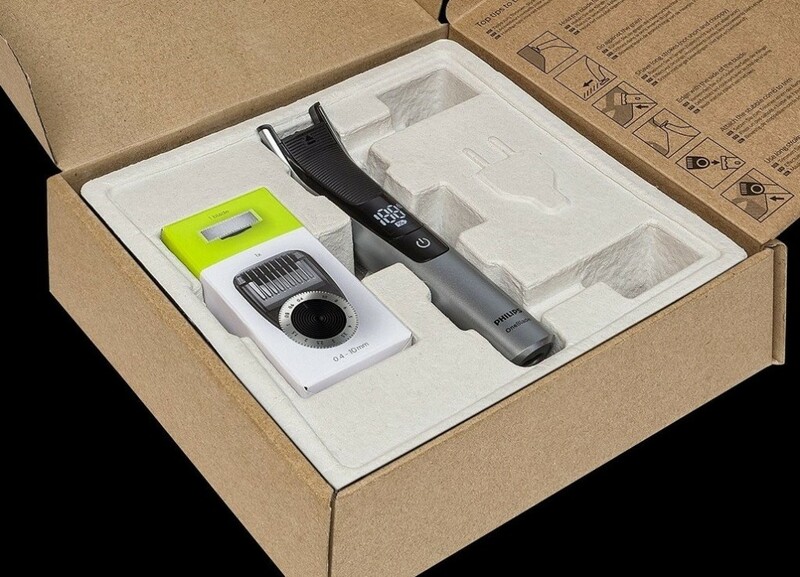 The pro has hair length cutting settings of 0.4 – 10mm vs 1 – 5mm for the basic model. 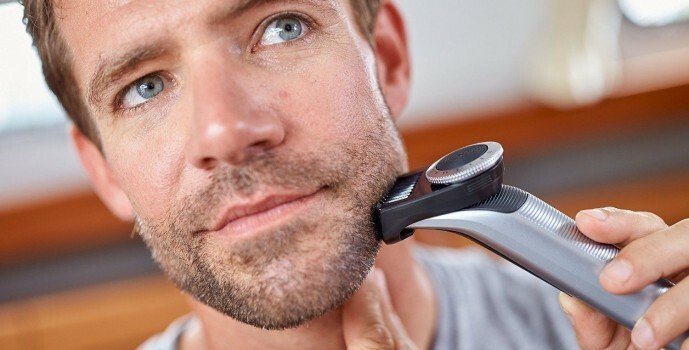 The pro uses a better battery, providing 90 minutes of shaving and a 1 hour quick charging time, vs 45 minutes of shaving and 8 hours charging time for the basic model. The pro QP6520/30 has a full detailed display on the handle where the QP2520/30 doesn’t. 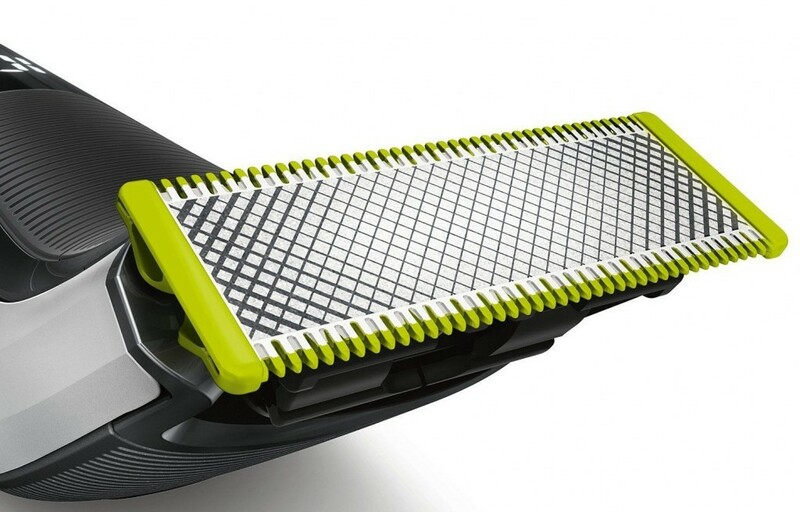 Finally, the pro version has more accessories – a 14 length precision trimming guard, travel pouch and charging stand – the basic oneblade has none of these. Rounding up the differences between these two great shaving tools, and you can see the pro is a better buy!